Yellow interiors have been on our minds and blog for these last two weeks. And we have found a place in the heart of Manchester that clearly knows how to rock this à la mode look. 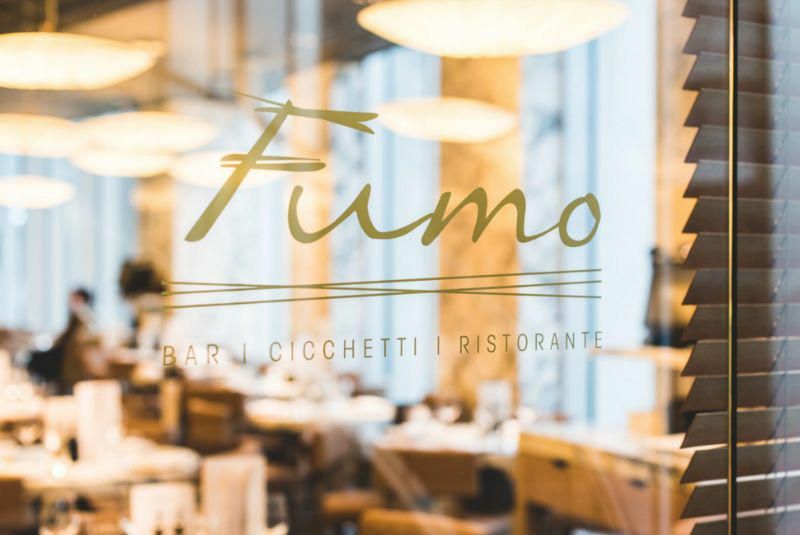 Fumo Manchester is a modern Italian restaurant that’s a part of the multi-award-winning San Carlo Group, a family business founded in 1992. 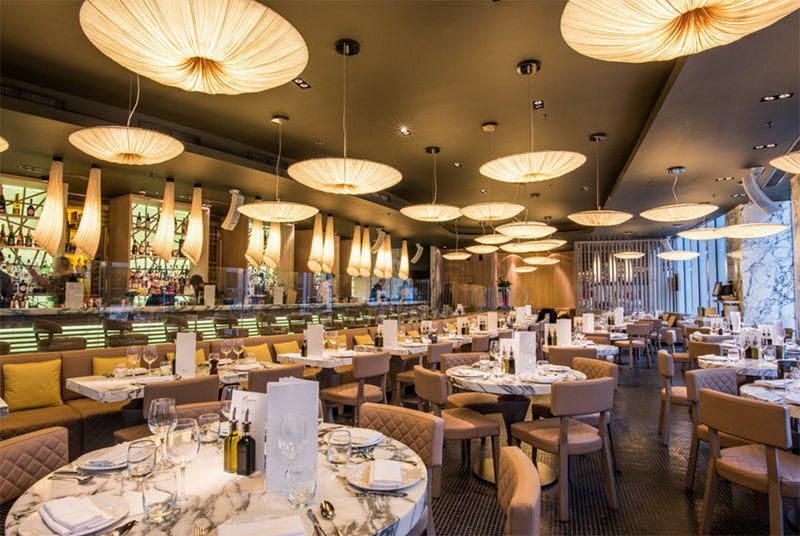 Based in 1 St Peters Square, a landmark office development, Fumo is a stylish restaurant, cocktail bar and late lounge offering great food and mellow atmosphere. It can be a great place to sit back and enjoy a tapas style dinner matched with a cheeky cocktail on a weeknight to ease away the stresses of the week, or if weekend celebrations are on the agenda, this spot is perfect with late-night DJ playing on Fridays and Saturdays. The most enticing element about Fumo has to be the interior though. 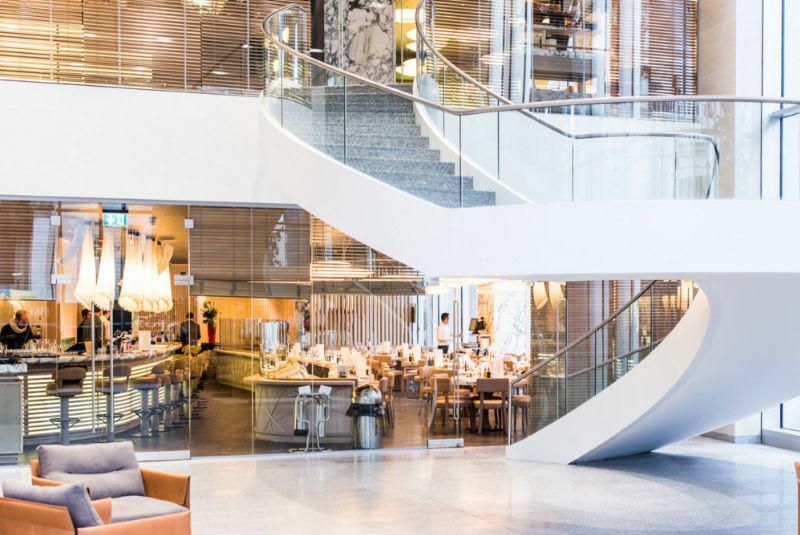 Stylish would be an understatement when talking about this place, just look at that grand staircase! Spectacular design features can be seen inside and out. From Mediterranean inspired lighting to luxe leather sofas and marble table tops. The immense glass wall lets in plenty of light and the sunny yellow interior will make you forget about the grey dullness outside. 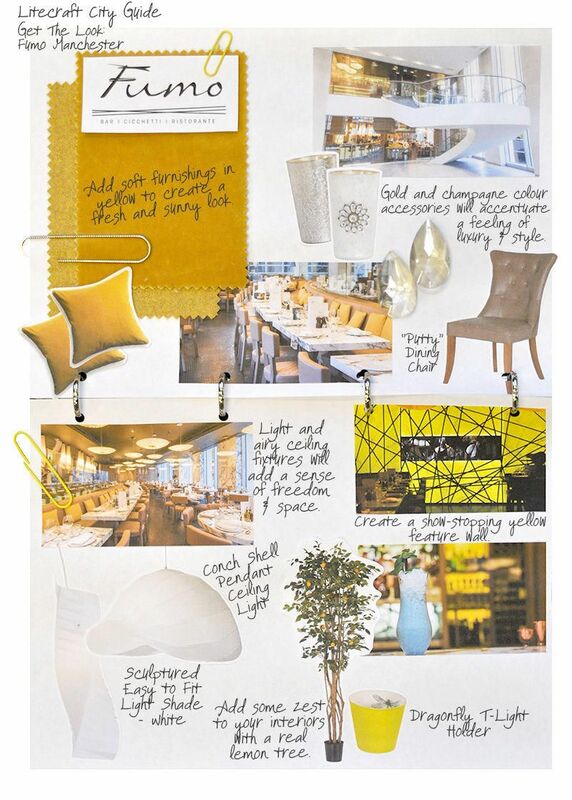 Fumo is tastefully decorated in beige, cream and yellow tones, exuding a warm and welcoming feel. 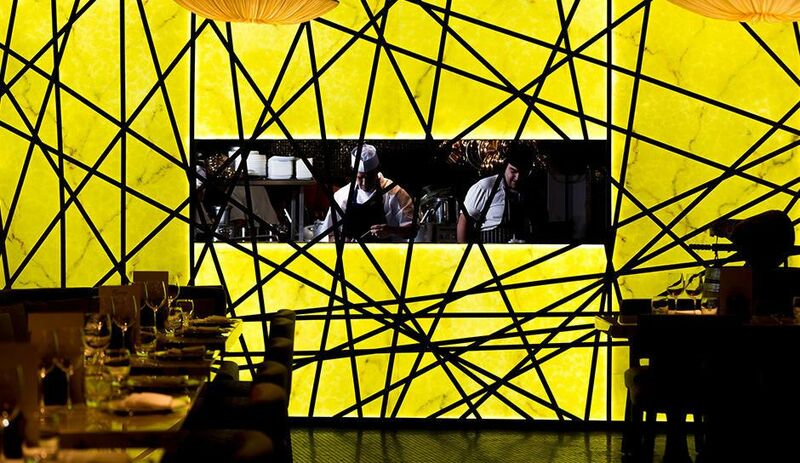 The yellow interiors combine elegance and relaxed atmosphere. 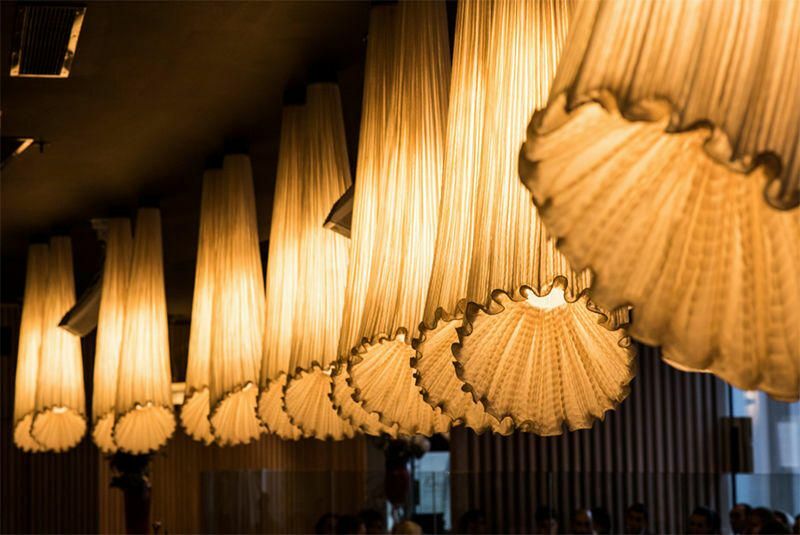 Unusual lighting fixtures are reminiscent of seashells scattered on a sunny beach and the art deco inspired bar just oozes of style and elegance. 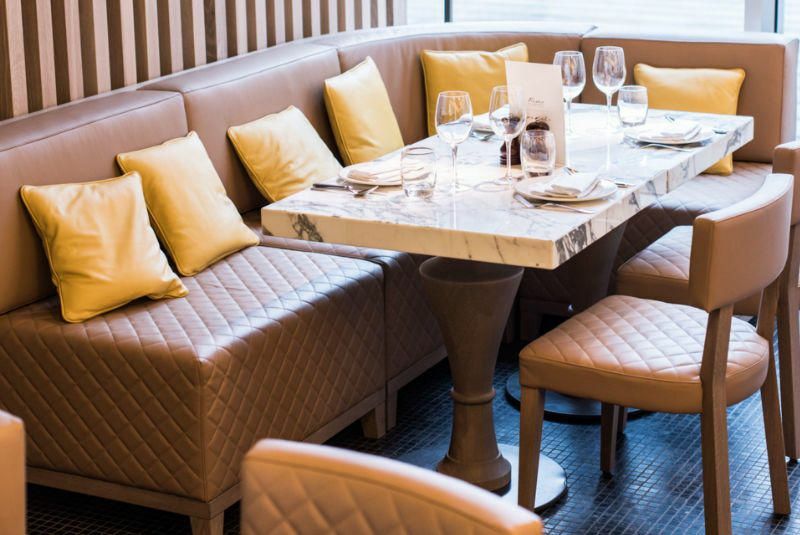 Sleek leather seating decorated with lemon leather cushions make the space look cosy and warm, while Carrara marble table tops add that touch of elegance that flows throughout the whole restaurant. Like a cherry on top of the cake, the yellow feature wall completes the sunny yellow interior look. Partially hiding the kitchen area it still lets you have a little glimpse at how your food is prepared. For those of you loving this fresh and elegant look, here’s how to recreate it. Adding soft furnishings into your interiors will create a fresh and sunny look. Combine them with gold and champagne coloured accessories to accentuate that feeling of luxury and style. Leather seating in brown or mocha will look rich and opulent. When it comes to choosing ceiling pendants go for airy Mediterranean inspired designs. Our Conch Shell Pendant and our Sculptured Easy Fit Light Shade will help you recreate that buoyant look. For added ambience combine pendant light fixtures with some recessed downlights or wall lights. For those of you feeling adventurous how about creating a show stopping feature wall for the ultimate yellow interior look that will wow your guests… Or if you prefer to play it safe how about adding a real lemon tree to the mix. It will not only look good, but also fill your room with fresh and citrusy smell. Check out our look book below for interior inspiration. Great ideas! I love yellow!